Louis E. Jesmer and Rose E. Mallotte Jesmer. My g-grandfather’s (Nelson) brother. 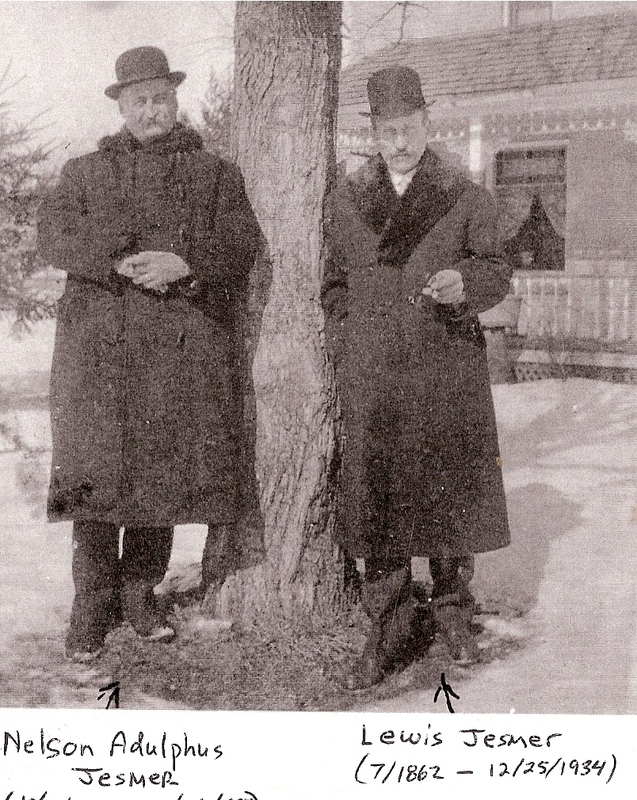 Louis E Jesmer [Parents] was born in Jul 1862 in Franklin Co, NY. He died 1 on 25 Dec 1934 in Ramsey Co, MN. 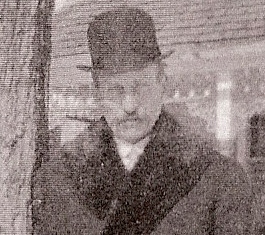 He married 2 Rose E Mallotte on 14 Jan 1895 in St Francis du Chantal RC, Greenbush, Mille Lacs, MN. Rose E Mallotte [Parents] was born in Dec 1862 in PQ. She died after 17 Oct 1935. She married 1 Louis E Jesmer on 14 Jan 1895 in St Francis du Chantal RC, Greenbush, Mille Lacs, MN. Apparently Louis and Rose had a double wedding with his other brother Joseph. Mr. and Mrs. Gamradt Entertain. On Wednesday evening of last week a delightful Halloween party was given by Mr. and Mrs. Max Gamradt. 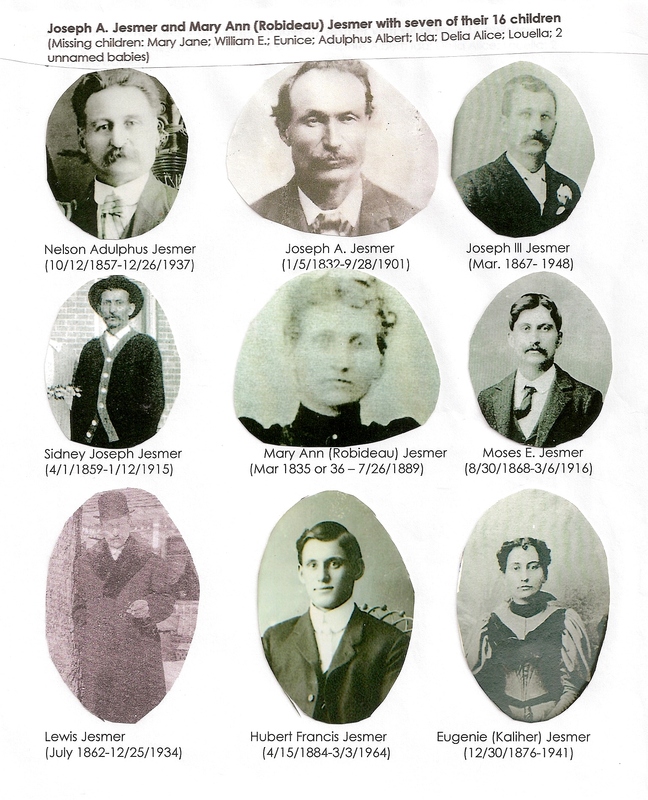 Those present were Mr. and Mrs. Calvin Olson, Mr. and Mrs. Fred Manke, Mr. and Mrs. Louis Jesmer, Mr. and Mrs. Louis Stolle, Mr. and Mrs. Eph- riam Anderson, Mrs. Weeks and the Misses Weeks, Edith Erickson, Ena and Anna Mattson and Margaret Al-brecht. The evening was spent in playing Five Hundred. Mrs. Fred Manke was champion player while Mrs. Jesmer carried home the booby prize. 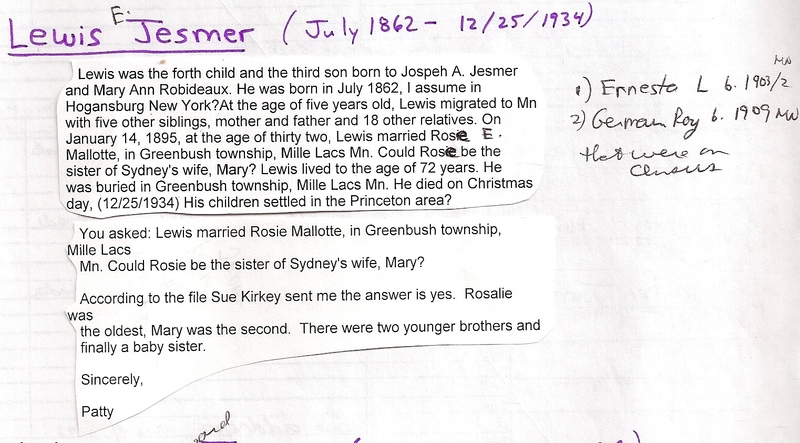 I believe that the Mr. and Mrs. Louis Jesmer mentioned above are Louis E. Jesmer and his wife Rose (Malotte) Jesmer. I am related to the Jesmer’s through the Robideau line. Louis would be my 1st cousin 4x removed. I wonder what the booby prize was?! « 11-23-14. Job 38:1-2. Is Our Self-righteousness Obscuring The Plans of God?